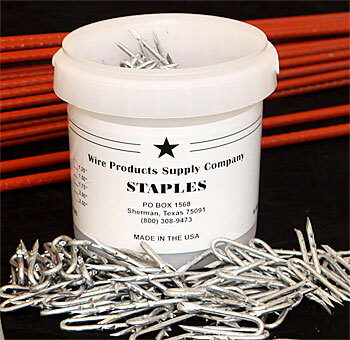 Wire Products Supply Company is the leading provider for all of your wire product needs. Our wide selection of custom manufactured products have a variety of uses and can withstand the test of time. We offer every-thing from custom sod staples to electric fence posts. Our focus is to provide customers with top quality wire products at affordable prices. Our family-owned and operated business thrives on long-term relationships and great customer service. We were built on customer satisfaction and we intend to impress you with our service. You can count on us for better quality and lower prices than our competitors. If there is anything that you have questions about on our website or if you’d like to get more information on any of the products that you see listed on our products page, please give us a call and one of our salespeople will be happy to assist you. © 2017 Wire Sales, Inc.